Over 2.5 million people visited Joshua Tree National Park in 2016. 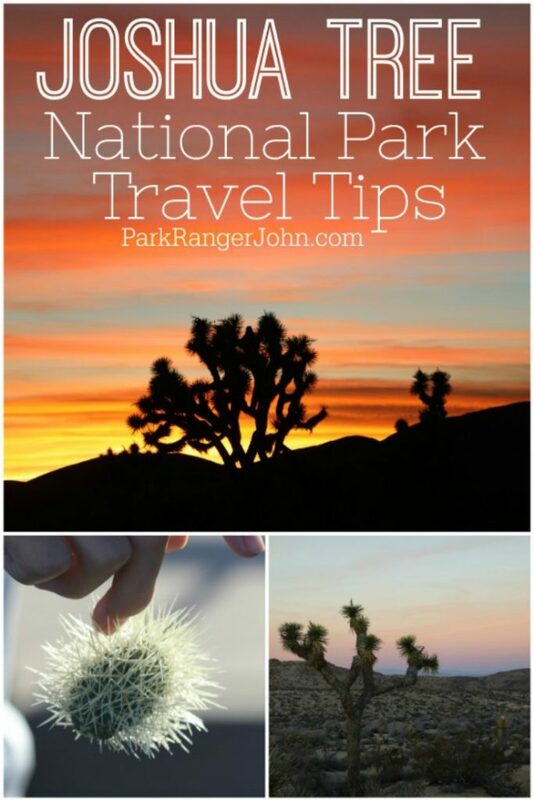 We hope that our Joshua Tree National Park Travel Tips help you plan your trip to the park and make the most of your time. 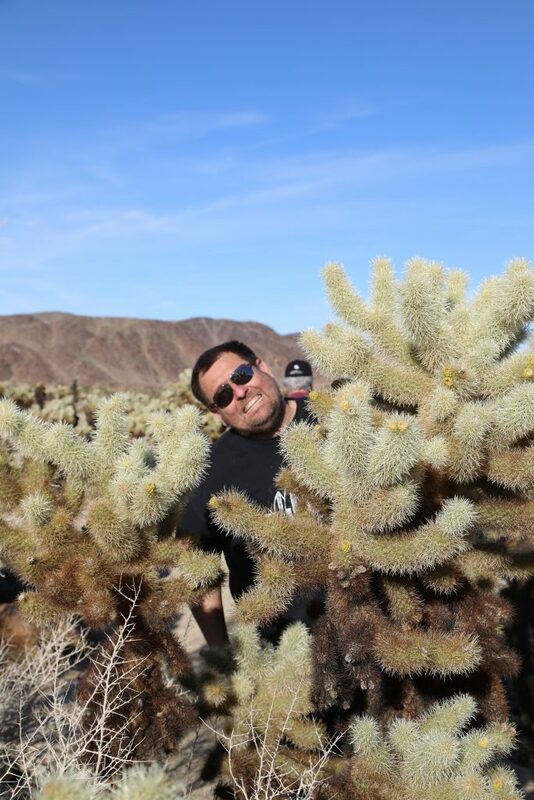 Don’t miss our post on the top things to do in Joshua Tree National Park! 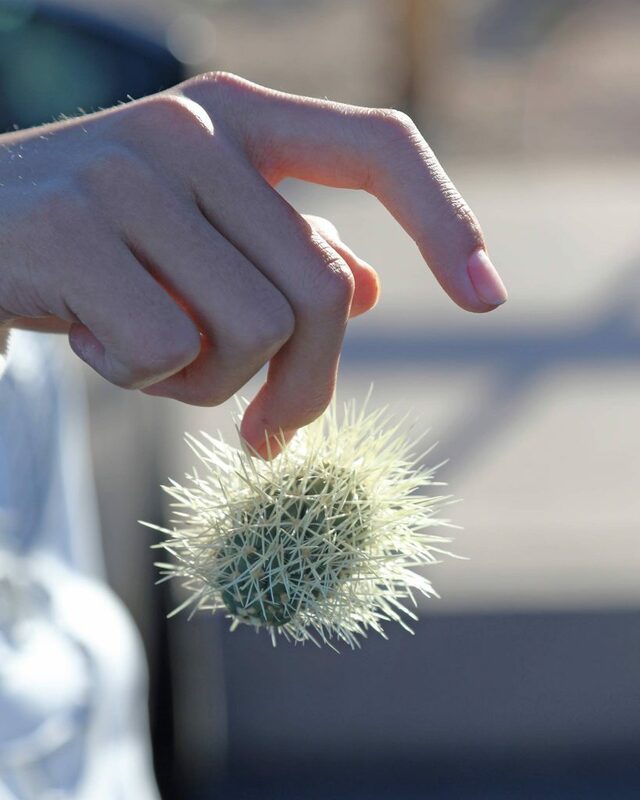 Please do not try to pick up a piece of Cholla Cactus!!! Tammilee had to help a family in the parking lot of the Cholla Cactus Garden remove a chunk of cactus from their hands. The cactus not only has spikes but barbs at the end of the spikes that really do not feel great being pulled out. The visitor center showed us a photo of someone who was covered in cactus head to toe. I can’t imagine how much this would hurt. Ranger-led Keys Ranch Tours require reservations and cost $10 per adult. 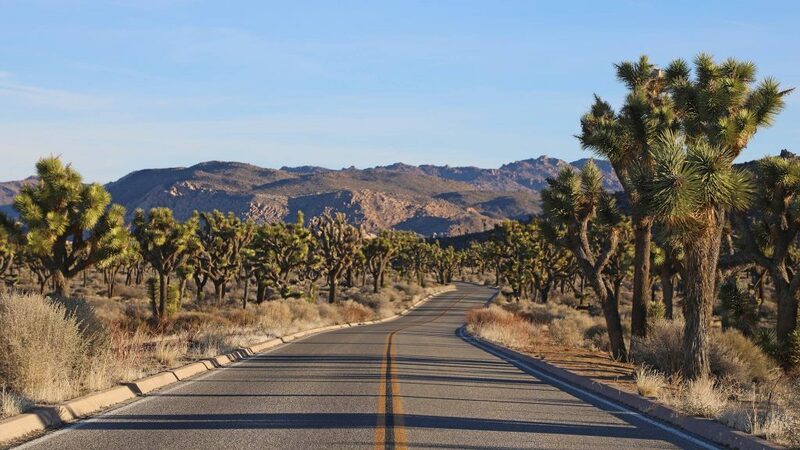 Visit the Joshua Tree National Park current conditions page to get up to date information on road closures and weather. Joshua Tree National Park is always open and can be visited year round. Be prepared in the summer for the hot weather by bringing more water than you think you will need. There are snakes in the park! Be cautious where you place your hands and feet! Joshua Tree is home to seven species of rattlesnakes, as well as venomous scorpions and spiders. You can view Joshua Tree park newsletters and guides online prior to your trip here. There is a $5 minimum charge for credit/debit card purchases in the store. Make sure and have cash with you if you only plan to purchase a postcard or small purchase. They do sell water and water bottles in the park store. Follow Joshua Tree National park on Social Media – Instagram, Twitter, and Facebook. How big is Joshua Tree National Park? How much does it cost to visit Joshua Tree National Park? This covers a 7-day vehicle permit, admitting the passengers of a single, non-commercial vehicle on the day of purchase and for the next six days. Other fees such as reservation, camping, lodging, tours, concession and fees collected by third parties are not included unless stated otherwise. Learn more about US National Park Passes. From I-10, take exit 117 for CA Hwy 62 toward 29 Palms/Yucca Valley. This will allow you to access the West Entrance, the North Entrance, Black Rock, and Indian Cove. Take exit 168 off I-10 to come in at the park’s South Entrance. Where are the Joshua Tree National Park Visitor Centers? Located one block south of Hwy 62 (Twentynine Palms Highway) at 6554 Park Boulevard, Joshua Tree, CA 92252. Located at park headquarters: 74485 National Park Drive, Twentynine Palms, CA 92277, at the junction of Utah Trail and National Park Drive. This is the main visitor center for Joshua Tree National Park. There is a pretty good size store and interpretive displays. This is a small visitor center/store. They do have postcards, t-shirts and some souvenirs. There is a $5 minimum for credit/debit card purchases. You can buy a park pass at this location. Located at 9800 Black Rock Canyon Road, Yucca Valley, CA 92284, in Black Rock Campground. Where can I find out about staying/camping in Joshua Tree National Park? There are nine campgrounds within Joshua Tree National Park. Camping fees vary by campground. There are no lodges or hotels within the park. The park is close to Palm Springs and Twenty Nine Palms which both have lodging available. 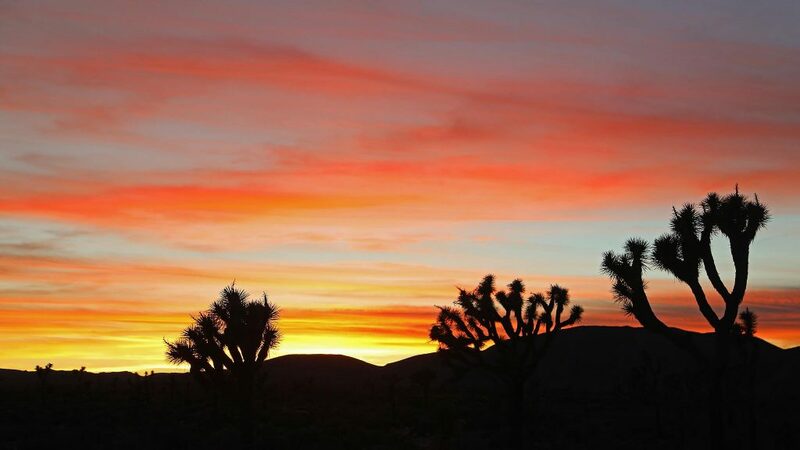 Learn more about Joshua Tree’s campgrounds. Is there a Junior Ranger Program at Joshua Tree National Park? Yes! You can even download the Joshua Tree Junior Ranger Booklet before your trip if you would like. Visit the Joshua Tree National Park Junior Ranger page to learn more about this great program. Joshua Tree also participates in National Junior Ranger programs like Junior Paleontologist, Junior Ranger Night Explorer, and Wilderness Explorer. Can’t make it to a park? Learn how to become a WebRanger! Can I bring my Dog/Pet with me to Joshua Tree National Park? Pets are not allowed in buildings, on hiking trails, or anywhere in the backcountry. There is only one exception: you may take leashed pets on the paved Oasis of Mara Trail near the visitor center in Twentynine Palms. Pets must be leashed at all times when outside a vehicle. Pets may accompany visitors in picnic areas, developed campgrounds, and “anywhere your car can go”—in parking lots and along roads. You may want to bring the Western United States Audobon Book on Birds or Peterson Field Guide with you. Joshua Tree became a National Monument in 1936. In 1994 as part of the California Desert Protection Act, Congress renamed Joshua Tree a national park. More than 80% of the 792,510 acres of the park are wilderness. The park covers where the Mojave Desert and the Colorado Desert converge. Some researchers think a typical lifespan for a Joshua tree may be 150 years. The cover photo for the 1987 U2 album The Joshua Tree was not taken in Joshua Tree National Park, but closer to Death Valley.